​We Service the Greater New Orleans Area to include, Marrero, Harvey, Gretna, Belle Chasse, Westwego, Luling, Boutte, Kenner, Metaire, Houma, and the North Shore. The length of time it takes to rid your home of a cockroach infestation depends largely upon species and size of infestation. Many over-the-counter products homeowners utilize often prove ineffective against a cockroach infestation. These pests are extremely adaptable and may even be resistant to some home extermination methods. Weather your dealing with a pest problem at home, business or warehouse, the professionals at Pest Control Solutions of Louisiana ​will find, control and eliminate your pest problem in a fast and friendly manner. We believe in delivering the highest quality, cutting edge services in the industry. The most rapid and effective pest control methods are those administered by trained pest control professionals. There are several techniques and tools that can be employed or recommended by these professionals to get rid of cockroaches. 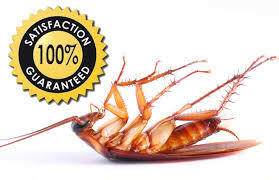 One strategy is for the pest control professional to partner with the homeowner to reduce the cockroach attractants. Sources like pet food dishes, drains, dishwashers, trash cans, etc. should be maintained, cleaned and/or stored properly. Another step is to determine the source or entry point for the cockroaches. Some cockroaches, like the German cockroach, are primarily carried into the home. Homeowners should be careful to inspect items such as used furniture or appliances for cockroaches before bringing them home. Outdoor cockroaches may invade under doors and through open windows. ​Homeowners and the pest control professionals should collaborate to seal up the home as much as possible. Pest control professional also can employ traps such as glue boards in areas where cockroaches may travel or hide. Yet another tool can be proper applications of products such as baits and residuals to cracks/crevices, harborage areas and the exterior of the home. The actual plan and time to get rid of cockroaches will vary by home and situation. 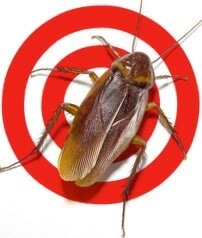 Cockroach control can be tricky because there are two main types of roaches (American and German), and they are eliminated using different techniques. The German roach is the most common of the smaller roaches and the most difficult to control. German roaches are a health hazard because they carry bacteria that is transmitted to humans. The main diseases are gastroenteritis including food poisoning, dysentery, and diarrhea. The most common larger roaches found in the United States are the American, Smoky Brown, Oriental and Woods Roaches. The most common of the larger sized roach is the American roach. All the treatment options for the larger roaches are similar. ​​An important identifying distinction is that the common German cockroach breeds inside and contaminates its living environment while most larger cockroaches do not breed inside. The most common larger roaches breed outside and are more of a nuisance than a danger. These larger sized roaches are not known to spread disease. Treatment options are different based on the type of cockroach. German roaches are primarily treated using roach baits and insect growth regulators. Other types of roaches are treated using insecticides. The German cockroach is one of the most common roaches found in apartment houses, restaurants, and hotels. German cockroaches (eggs included), are "brought in", usually on man's belongings, luggage, boxes or packages. All it takes is bringing in one egg capsule, six months later you have an infestation.